Mega Power Star Ram Charan and young Tiger Jr NTR starrer RRR is certainly one of the most awaited movie of the year. It has been garnering a lot of attention ever since it went on floors. Currently the movie is progressing at the brisk pace in Hyderabad under the direction of SS Rajamouli RRR. It is known news that few days ago, few pics from RRR sets were leaked and went viral on social media sites. Now the source say that Ram Charan is playing the role of Rama Raju. The mega fans are very happy after hearing the character name of Ram Charan in Rajamouli’s directorial venture RRR. Ram Charan as Rama Raju is playing a patriotic cop under the British regime. 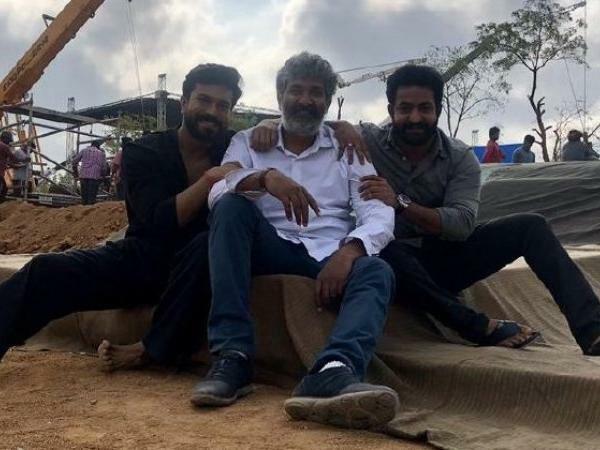 Currently Rajamouli is canning a high voltage action sequences in the extravagantly erected sets in RFC, in which Ram Charan and 1000 jr artists are participating. Jr NTR is on a break. He has taken a short break from the shoot schedule and flew to Dubai yesterday along with his wife Pranathi and son Abhay Ram. The source say that Jr NTR will be seen in beast mode in the film. Rajamouli’s directorial venture RRR is being produced by DVV Danayya on DVV Entertainments where the film has the music by Keeravani. There is a buzz that the filmmakers are scouting for an established actress to play a special number in the movie. It is learnt that Rajamouli would rope a Telugu actress to entertain all of us. The sources say that 3 actresses will be seen in SS Rajamouli’s RRR. An official announcement about their names will be made soon by the filmmakers. 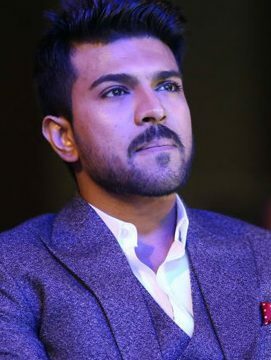 Ram Charan was last seen in Boyapati Srinu’s directorial venture Vinaya Vidheya Rama, in which he shared the screen space with Kiara Advani. The movie has ended up commercially flop at the box office and this time Ram Charan is pinning lot of hopes on Rajamouli’s RRR.